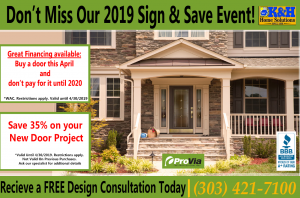 Save 35% on your New Door Project! 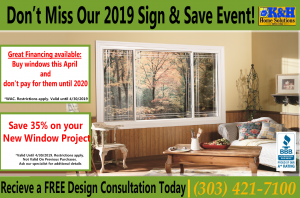 Save 35% on your New Window Project! 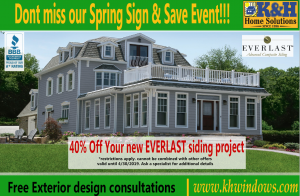 Save 40% on your new EVERLAST Siding Project! FILL OUT THE FORM TO QUALIFY! *Minimum purchase required. While supplies last. Other restrictions may apply. Offers expire March 31st, 2019.